Get rid of your bags or baggage called left over Halloween candy! Donate them to the men and women who don't get very much to munch on but still have a sweet tooth. 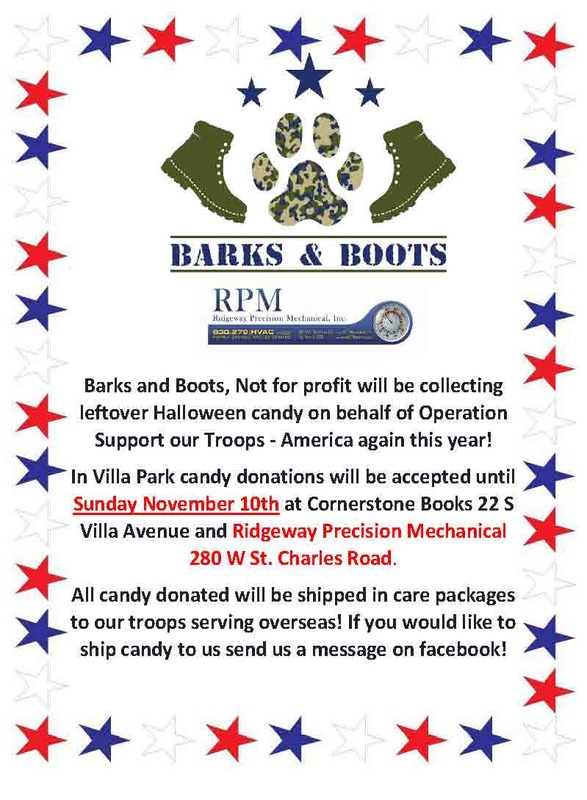 Drop off your donations at Ridgeway Precision Mechanical on St. Charles Road on behalf of our very own VP Not for Profit Barks and Boots whose mission is to send care packages to those who serve and protect us including our K9 's.